Appolinaria74 is talented cross-stich designer and developper. I'm really impressed with the likeness of her results, and her abilities to really port the spirit of the digital painting picture to the cross-stich technic. If you are a cross-stich practiser, or interrested in; she sells models and templates (link at the end) . I'm the proud owner of one of her cross-stitch from this model, it's on my wall. 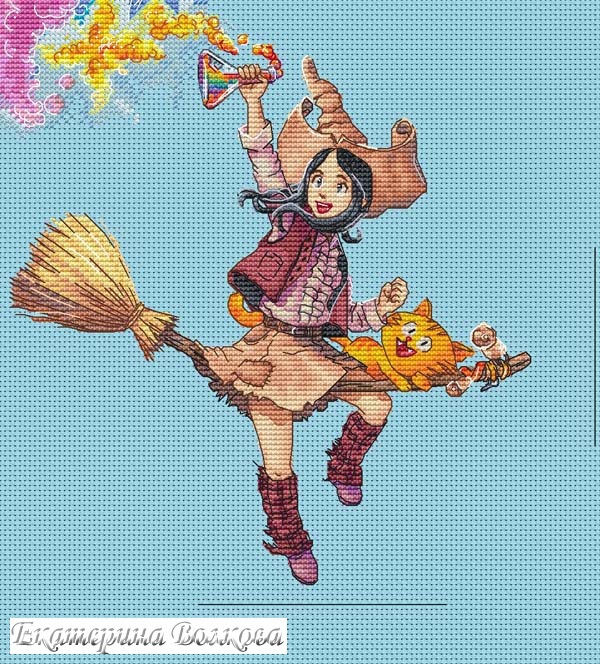 Thank you Appolinaria for bringing Pepper&Carrot to the cross-stitch world and for your support! I always think on cross stitch as the start of pixel art, lol. Its a great work.